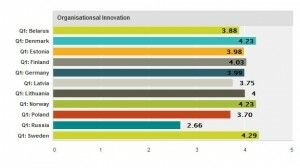 Innovations are more than pure product developments and new technologies. Especially in SMEs innovations do ask for a comprehensive understanding of the unique possibilities and potentials of the companies. • Product innovations need to be based on customer needs, and SMEs need support in polishing their product innovations for market introduction. activity for goods or services. • Social and organisational innovations refer to the way the staff works together in a company, the internal work climate, or innovative thinking and leading of the managers. 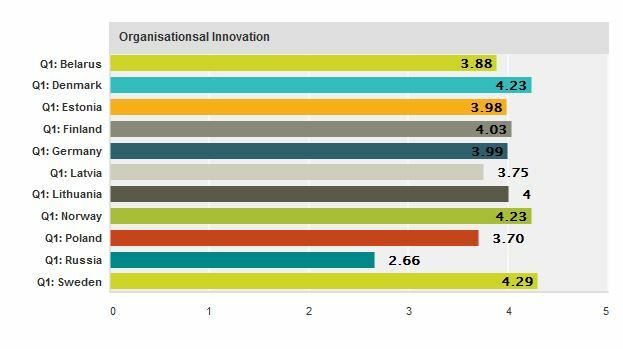 The survey 2013 showed that in particular non-technological innovations, like social and organisational innovations, are of high priority for SMEs, yet the funding programmes focus on the promotion of product innovations only. Support in the area of non-technological innovations forms an essential basis for all subsequent changes and therefore must be treated with at least equal attention as technical innovation support measures. Neither the European Commission nor any person acting on behalf of the Commission is responsible for the use which might be made of the information contained in this website.The views expressed on this website are the sole responsibility of the authors and do not necessarily reflect the views of the European Commission.